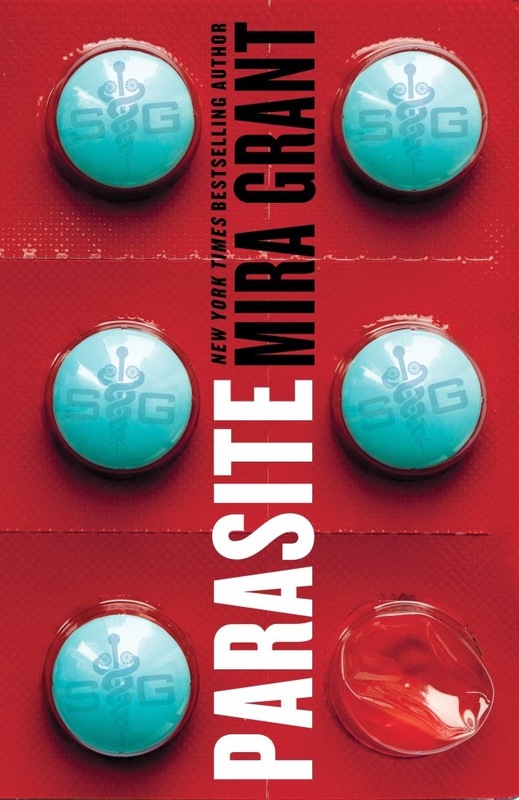 Parasite was one very odd book. Weird with a capital W. I finished it with mixed feelings. This is the first book in a series, and it was largely focused on Sal Mitchell. She is a young woman who wakes up after being brain dead due to a car accident with no memory of who she is thanks to her SymboGen Intestinal Bodyguard. The Intestinal Bodyguard is a modified tapeworm designed to secrete drugs and boost your immune system. Things begin to get weird after people start falling to the sleeping sickness. They just stop walking and go slack jawed before coming back with empty eyes and increasingly violent behavior. As Sal gets pulled further into the conspiracy surrounding the SymboGen implants, she begins questioning everything she's been told. The premise is very promising, tapeworms meant to help your health want to take over. I was hooked early in the book, but somewhere around the middle of the book, I started to get a little bored with it. Grant spent a lot of time building up anticipation for several anticlimactic revelations of something you already knew based on the book description or guessed by all of the hints and foreshadowing. There's some science babble for a few chapters, then it kind of gets interesting again near the last quarter or so of the novel. The big reveal at the end is again very anticlimactic. I feel like most people who read the book will already have caught on or at least had a suspicion about it. Sal was a little annoying through most of the book. She wanted to ask questions, but it seems like she doesn't really want the answers. She acts very much like a sheltered child who stomps her feet when she doesn't get her way. She is in some ways only 6 years old, but it's irritating as a reader to have moments when she seems very bright and moments when you just want to smack her for being so simple minded. She also has times when she acts like a child who needs to be handled gently and protected, and then she wants independence and to fight back. Nathan is a strong support character for Sal, except for perhaps his tendency to coddle her. It will be interesting to see how his role develops in the next book. I don't want to give away too much, but Sal's dad, Dr. Banks, and another doctor introduced in the middle will make for some interesting antagonists in the next book. None are all good or all evil, but they each have their own agenda. I'm curious to see how that element might play out. Overall, the book hit in the middle for me. Parts were fascinating and parts left me bored, but I am intrigued enough to read the next book when it comes out. Once you've past the border, then you'll have to play the game. The world is out of order. It's been broken since you came. Happy New Year! Let's talk resolutions.